ere at Georgio's Fine Food & Spirits your dining pleasure is our specialty! We value and honor our customers by putting our attention and energy into what is most valuable to you. All of Georgio's cuisine is personally prepared by our chef Grant Beane and his culinary team using only the finest ingredients. 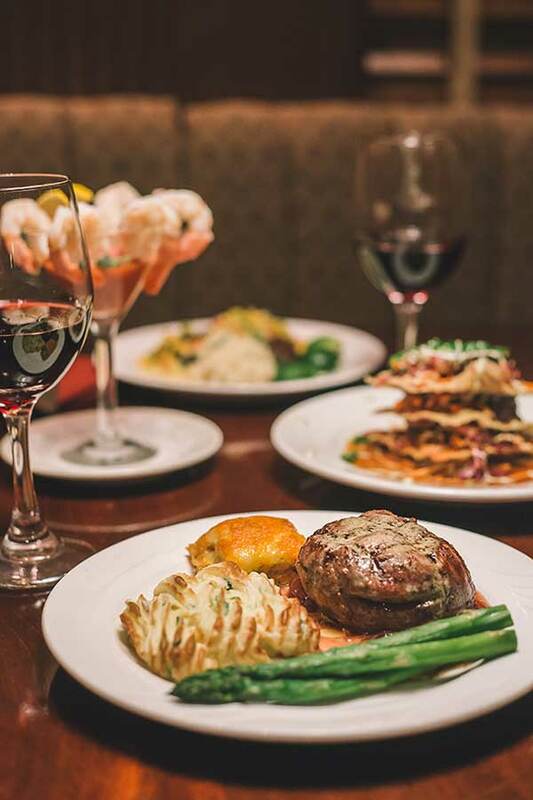 We specialize in locally sourced seafood, USDA certified Prime & choice steaks along with classic European and American cuisine with emphasis on Mediterranean fare. Attentive and efficient smiling faces make up our service staff and the ambiance at Georgio's Fine Food & Spirits is warm and relaxing complete with a full bar & lounge, outdoor dining on our covered veranda, private banquet rooms, expansive wine selection and a convenient location with plentiful parking. Georgio's also offers a gluten free menu and will customize our dishes for those with a food allergy or intolerance. If you are planning on dining with us and have a food allergy or intolerance please let management know upon arrival so that we can ensure your dinning selection will meet your specific needs. Our family business is a labor of love which continues to grow. Our host Georgio Koikos has been serving Tallahassee and the surrounding communities for over 50 wonderful years and is looking forward to many more to come. We appreciate all of our customers and pride ourselves on personally overseeing our guests dining experiences. We hope to see you soon at Georgio's Fine Food & Spirits where you come for the food and leave as our friends. Cheers!